Don’t forget to Like and Follow our Facebook Pages and Groups to keep in touch with everything going on at the club… scroll down for more information! 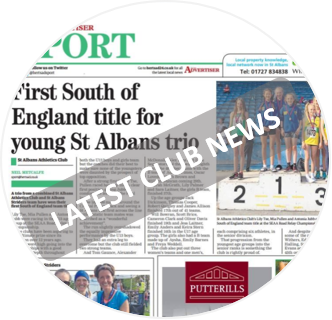 ST ALBANS ATHLETIC CLUB WAS FOUNDED IN 1989 AND THANKS TO THE ENTHUSIASTIC AND HIGHLY QUALIFIED COACHES, OFFICIALS, DEDICATED ATHLETES AND SUPPORTIVE PARENTS AND VOLUNTEERS, WE HAVE BECOME A CLUB TO BE PROUD OF. 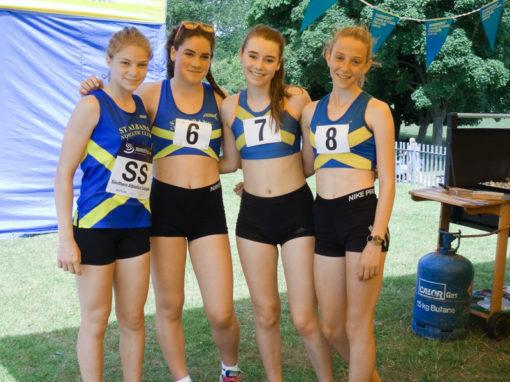 WE ARE BASED AT ABBEY VIEWATHLETICS TRACK AT WESTMINSTER LODGE LEISURE CENTRE IN THE VAST AND BEAUTIFUL GROUNDS OF VERULAMIUM PARK. 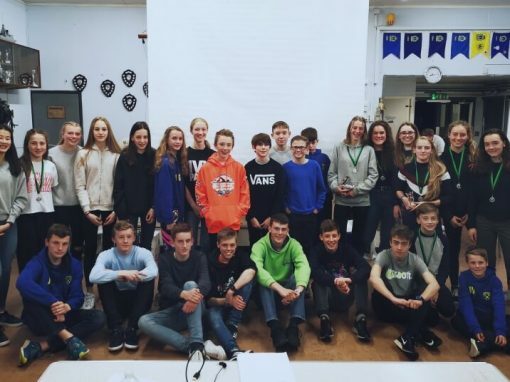 WE OFFER GENERAL TRAINING SESSIONS FOR CHILDREN FROM THE AGE OF 8 ON THURSDAYS AND SUNDAYS THROUGHOUT THE YEAR, AND SPECIALIST COACHING SESSIONS DURING THE WEEK. 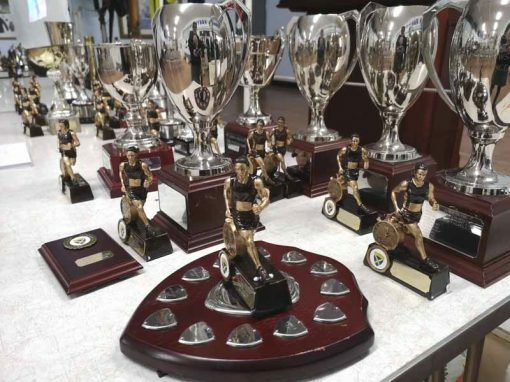 AS A CLUB WE COMPETE IN A VARIETY OF LEAGUES FROM THE AGE OF 11 AND UPWARDS. Like and Follow our Facebook page to keep up to date with all general news about the club. The Facebook page is public so all you need is a Facebook account to view it. 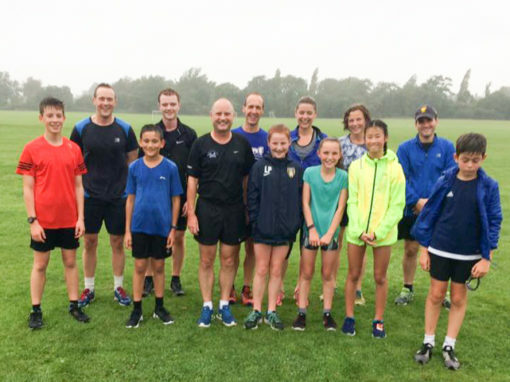 St Albans Cross Country and Middle Distance and St Albans AC Track & Field are closed groups; once you/your child becomes a member of the club, please request to join. 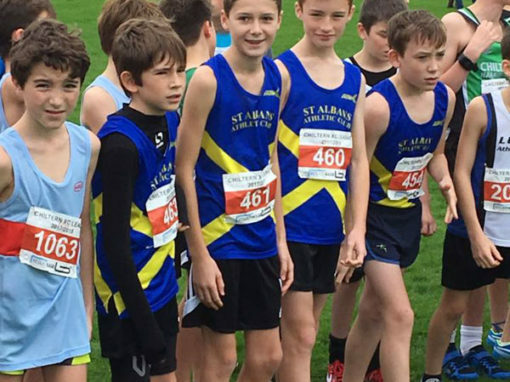 Once you are a member of St Albans Athletics Club, please request to join the St Albans Cross Country and Middle Distance Facebook group to keep up to date with news, events, fixtures, match reports, etc. We encourage all our cross country and middle distance athletes/parents to join the group as this is the main method of communication. 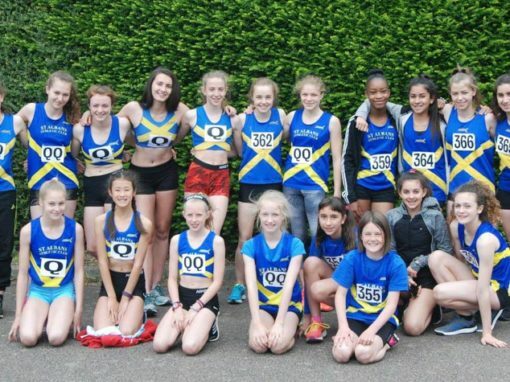 Once you are a member of St Albans Athletics Club, please request to join the St Albans AC Track & Field Facebook group to keep up to date with news, events, fixtures, match reports, etc. We encourage all our athletes/parents to join the group as this is the main method of communication.